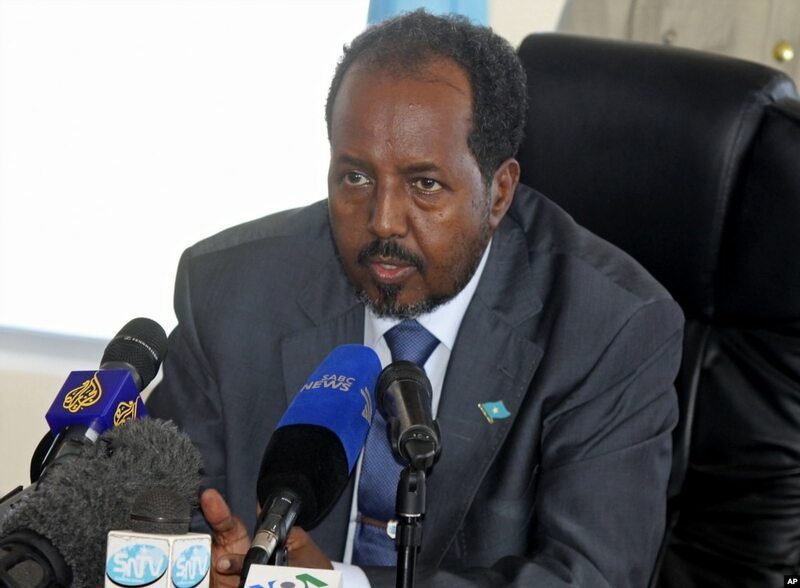 The plane of Somali President Hassan Sheikh Mohamud made an emergency landing in Mogadishu Monday after experiencing engine problems. The president was unharmed in the incident, and there were no reports of any injuries. 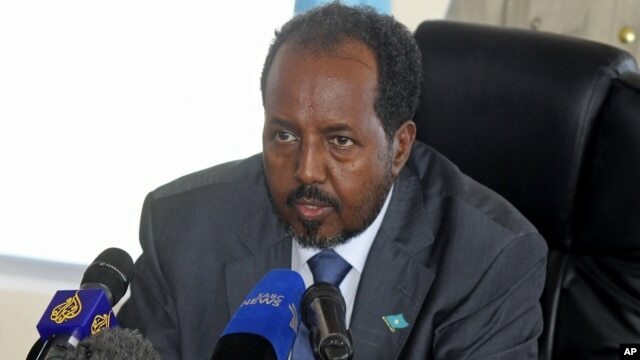 Government spokesman Abdirahman Omar Osman says the plane took off from Mogadishu's airport at 9:00 a.m. local time but returned to the capital when, about 20 minutes into the flight, a technical problem developed in one of the plane's two engines. An airport official tells VOA's Somali Service that the plane suffered a punctured tire on landing. Airport officials deny media reports that the plane had caught fire. The president and a delegation were traveling to South Sudan for celebrations marking that country's independence day. The group later boarded another flight and departed for South Sudan.